The 30th anniversary of Motorola Solutions’ European headquarters in Basingstoke, UK, was recently celebrated with a series of thought provoking presentations on the future of mission critical communications to a gathering of industry analysts and international press. Mission critical communications are undergoing a significant evolution as governments and public safety organisations begin preparations to add 3rd Generation Partnership Project (3GPP) standards-based LTE technology to existing TETRA environments. Against this backdrop: Ericsson CTO, John Cunliffe; Ericsson Head of Technology for National Security and Public Safety, Micael Martell; TCCA CEO Phil Kidner; IHS analyst Jennifer Shortland, and our own CTO, Paul Steinberg, provided a collaborative view for the future – one where TETRA digital radio and LTE mobile broadband come together to enhance capabilities for the 14 million mission critical communications users in the region. Dr Carl Smith, Producer of Critical Communications Europe 2014, catches up with Gary Aitkenhad, VP of Services Europe & Africa, Motorola Solutions. Read the full interview below. CS: In over 20 years with Motorola, you have had an incredibly successful career to date, including winning multiple awards, delivering amazing growth to the business and being involved in TETRA standards development. How have you seen the Critical Communications field change in this time and how do you see it progressing with the possibilities afforded by professional mobile broadband? GA: Over the years the industry has grown and diversified in terms of the suppliers, end user base and what they demand. Now, most European countries have TETRA networks deployed or are in the process of being rolled out. The early TETRA adopters are now planning their evolution of their networks – so the market is also diversifying in terms of deployment lifecycle. Looking forward we are expecting to see the transport of data become an increasingly significant part of the Critical Communications landscape. This will not be entirely dependent on mobile broadband but will likely use a range of technologies, including TETRA and TEDS, as the applications and capabilities we are looking to support today don’t all require broadband. What remains constant is the drive for high reliability and availability – networks and equipment that our customers can rely on. CS: At Critical Communications Europe, you will be presenting ‘The Art of Planning, Implementing and Operating Mission Critical Networks’. This is a very timely topic as LTE begins to be introduced into network plans, at a time when some high profile organisations are considering their requirements. What advice would you give to anyone who is looking to invest in a robust and ‘future-proof’ network? GA: All nationwide roll outs are long-term projects often being used over several decades, therefore of course customers need to look for future proof solutions. Solutions which are mature and developed for their mission critical needs plus standardized which will give them the choice between suppliers and the innovation they need for the future. That is why TETRA has been so successful, it has been developed with the users for the end users and is an ETSI standard where new features required by end users have been added throughout the years. Communications networks are evolving with the needs of public safety users and access to new technology. The core for mission critical users are still voice applications but increasingly data applications are more and more recognized to bring situational awareness to mission critical situations, such as for example high definition live video streaming during an incident. For applications like this high speed broadband data would be required. We offer TETRA solutions where LTE can be integrated in the future, they are ready for LTE. One major aspect to consider though beyond the choice of technology for the future is the understanding that a network is living and breathing every second, it changes and it needs what we call Life Cycle management including optimization, planning, maintenance, upgrades of solutions, trainings and the planning of technology evolution. To achieve a robust future-proof network is a constant process and never completed. CS: There seems to be a split in opinion around the future of TETRA. On one hand, people believe that LTE signals the beginning of the end for TETRA and are simply waiting for VoLTE to become a viable option. While there is also firm belief that voice communication is, and will continue to be, the spine around which all Mission Critical communication is built and therefore TETRA remains the best choice for the foreseeable future. Do you think TETRA will still be pivotal beyond 2020? GA: In the last years TETRA has continued to thrive. 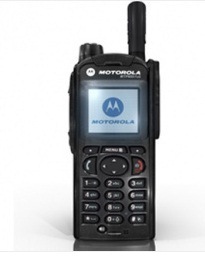 In 2013 Motorola Solutions shipped its 2 millionth TETRA Terminal. With new nationwide networks being deployed and existing customers updating to latest generation technologies, we are seeing strong growth in the TETRA technology and a key reason behind the growth in TETRA, is ongoing innovation. New features are tailored to the needs of public safety, transportation, energy, airports and other customers who need resilient, secure, instantaneous group voice and data applications, with full duplex voice telephony. Within Motorola Solution we must look to technology to provide “force multiplier” ­­– helping agencies do more with the resources they have at their disposal and ensuring that there is a clear and simple path for customers to integrate new technologies alongside existing investment. In particular, customers are looking for technology to help them: enhance effectiveness, efficiencies and safety of teams and citizens, especially as cities are becoming smarter. That is where LTE comes into play. We have contracts for TETRA which go beyond 2020 and yes, we think it will still play a role beyond 2020. CS: As one of the world’s leading solution providers, Motorola has some very high profile clients. What is the key to building lasting client relationships, and how big of an influence do they have on where Motorola looks to invest moving forwards? GA: We are a leader in public safety since over 80 years and we understand the way mission critical users work and what they demand from communications technologies. We have a user centric innovation and design approach which means that we work very closely with our customers to be able to provide the customized solutions they need. They are the drivers for the innovation we bring to the market. Another aspect is that the nature of public safety contracts are long-term, which means you commit to a market for the long run. Plus nationwide projects, are very complex and each one is very unique. The nature of these projects require a close and trustful collaboration with the customers in order to be able to face challenges every network will have and deliver ultimately the best communication networks for the public safety end user. CS: As always, Motorola will have a leading presence throughout the conference and exhibition at Critical Communications Europe. What should next week’s attendees be most excited to see at the Motorola stand? GA: Motorola is proud to continue to be involved in the CC series of events and are looking forward to a great show. The Motorola stand will be featuring some exciting TEDS developments in our Enhanced Data Solutions area along with our latest range of TETRA radios and applications in the TETRA Radio and imaging solutions area. We will also have the evolution of our radio infrastructure with our MTS4L, the combined TETRA/LTE base station, a solution that offers real opportunity for customers to start deploying equipment today that will provide them with a platform for the future. There will also be demonstrations of the latest capabilities on offer to command and control centres along with the latest secure communications solutions offered by our Assured Mobile Environment offering. Please take the time to come to the Motorola Stand (Booth 8) where we will be happy to greet you and provide you with a personal booth tour. Don’t worry if you haven’t already registered your place yet, you can register at the event. Just go to the registration desk at the Krasnapolsky Hotel, Amsterdam and a member of our team will register you. Motorola Solutions (NYSE: MSI), a leading provider of mission-critical communication solutions, has been selected in the latest tender of the German federal state of Brandenburg and will supply TETRA digital radio solutions to security authorities and organisations (Behörden und Organisationen mit Sicherheitsaufgaben, BOS). The 21,000 digital two-way radios plus accessories and supporting services will be used by the police, emergency services, as well as public and private fire departments in Brandenburg.